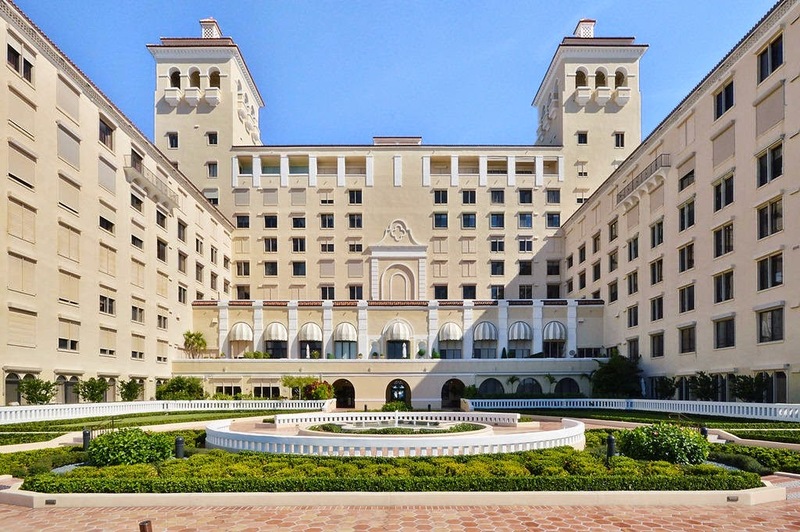 Perched on the 6th floor of the prestigious Palm Beach Biltmore in Palm Beach, Florida is this remarkably remodeled turn-key luxury condo. With 3 bedrooms and 3 full baths, this Palm Beach Biltmore beauty boasts 2,338 square feet of luxurious living space. Elegantly appointed and exquisitely furnished, this classy condo boasts ocean and city views as well as an impressive list of upscale features including marble flooring, custom lighting, marble clad bathrooms and a gourmet kitchen with a full suite of high-end stainless steel Viking appliances. Additional features include brand new cooling system and hot water heater, laundry room with top-of-the-line washer and dryer and garage parking for one car. 150 Bradley Place #616 is located in Palm Beach and is currently asking $2,595,000. This Palm Beach Biltmore listing is courtesy of The Corcoran Group MLS# RX-10108262. The Palm Beach Biltmore is a full-service pet-friendly condominium community located on Palm Beach Island. Residents of this prestigious community enjoy all the amenities and services that come with the Palm Beach Biltmore lifestyle including a 24/7 doorman and security, valet parking, heated olympic size pool and spa, state of the art fitness center, lighted tennis courts, available dockage and a private beach club with restaurant. The Palm Beach Biltmore also offers residents an enviable central Palm Beach Island location just steps from pristine beaches and mere minutes from the upscale shopping and dining options of nearby Worth Avenue. The endless entertainment options of CityPlace in West Palm Beach are also just a short drive away.